As the holy month of Ramadan approaches, the hospitality sector gears up for a busy season ahead, as an abundance of Iftar and Suhoor offerings showcasing the best of Arabic inspired cuisine becomes available. From sunset till late, Manzil Downtown Dubai will offer diners the chance to discover Ramadan through a culinary adventure, tapping into different experiences across the various outlets of each property. From a traditional Arabic Iftar to the more relaxed Suhoor experience, Manzil Downtown Dubai offers guests two charming locations to choose from, both guaranteeing a truly unique Ramadan experience. From a buffet style spread featuring a selection of mouth-watering dishes to the magical and enchanted Arabian courtyard renowned for its magnetic ambience which will have you coming back for more. 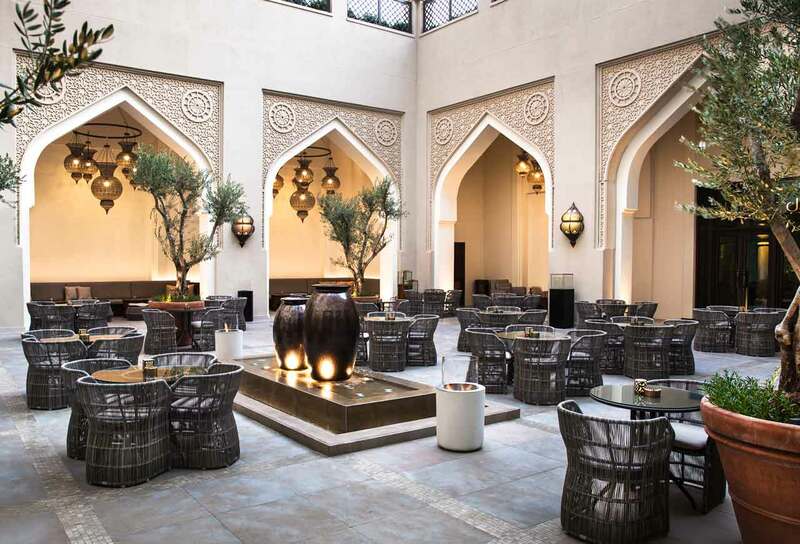 Embrace Ramadan this season with Manzil Downtown Dubai and enjoy the traditions of Iftar within the enchanted Arabian inspired outdoor garden, The Courtyard. Located in the heart of the boutique hotel, guests can enjoy a delectable menu for Iftar that will elevate the senses. Unwind with friends and family at The Courtyard, offering a wide selection of shisha flavours and classic Ramadan dishes. The beautifully landscaped venue is the perfect setting for Ramadan festivities, while the soothing sounds of the live Oriental performers will complete the experience. For a more intimate setting, Boulevard Kitchen offers two unique experiences. Set over two floors, in a contemporary Arabic environment, guests can delight in a lavish Iftar buffet especially created by Culinary Director Spencer Black, featuring a selection of hot and cold mezzeh, live cooking stations and a variety of traditional desserts.